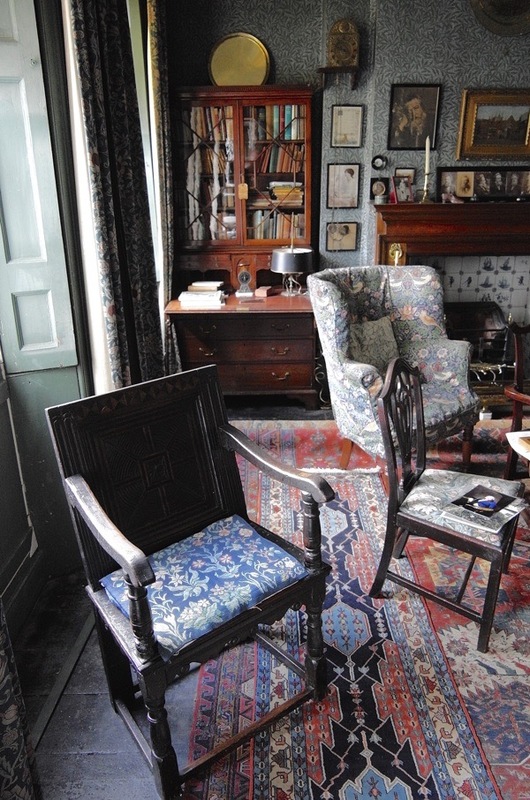 Typographer and Printer, Emery Walker and Designer and Poet, William Morris both lived in houses on the Thames in Hammersmith, but they first met at a Socialist meeting in Bethnal Green and travelled home together on the train to West London. 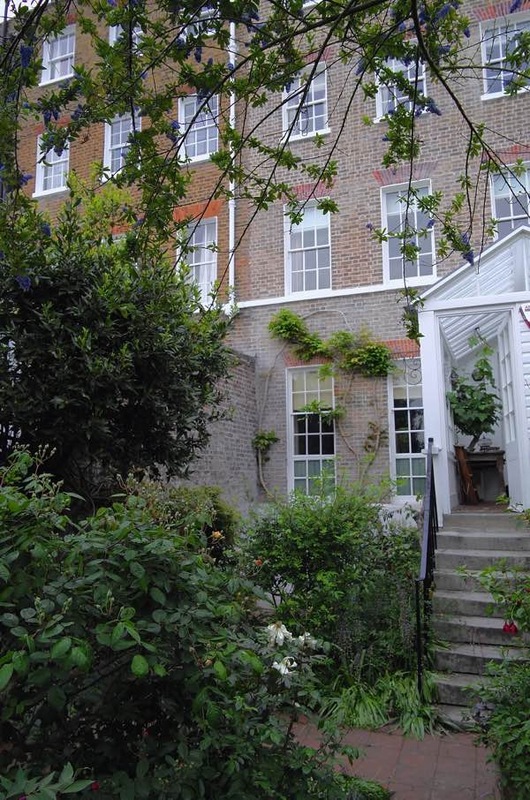 Today both houses are adorned with plaques commemorating their illustrious former residents, and remarkably Emery Walker’s House in Hammersmith Terrace has survived almost as he left it, thanks to the benign auspices of his daughter, Dorothy, and her companion Elizabeth de Haas. 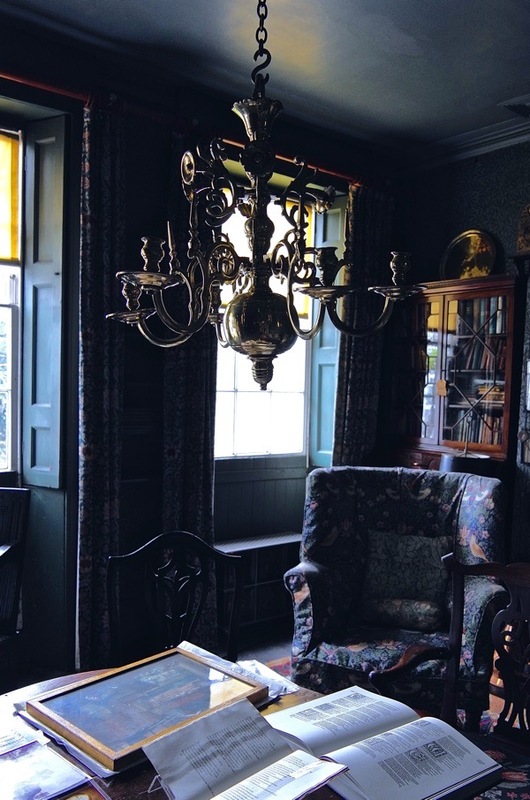 Today it boasts one of London’s best preserved Arts & Crafts interiors and stepping through the threshold – as I did last week – is to step back in time and encounter the dramas that were played out here over a century ago. 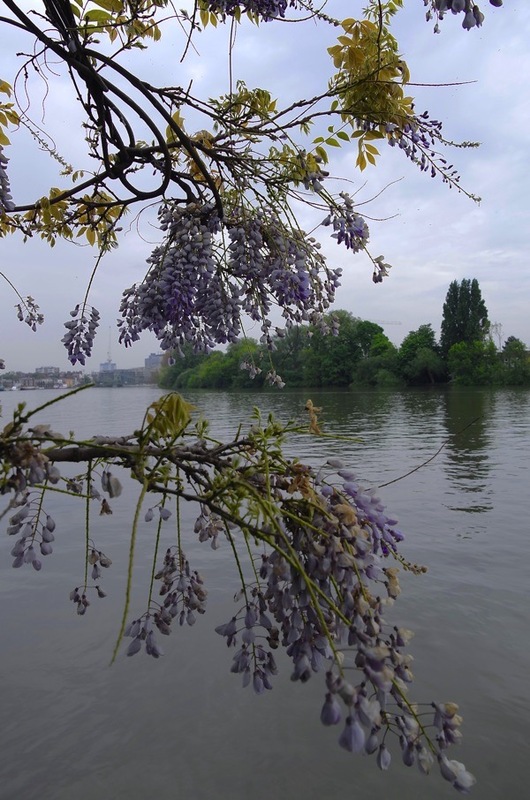 After their first meeting, Emery Walker and William Morris met each other regularly walking on the riverside path and soon became firm friends. Morris once commented that his day was not complete without a sight of Walker and the outcome of their friendship was that Emery Walker took responsibility for the technical side of Morris’ printing endeavours at the Kelmscott Press – designing the Kelmscott typeface – and then subsequently nursing Morris through his final illness. 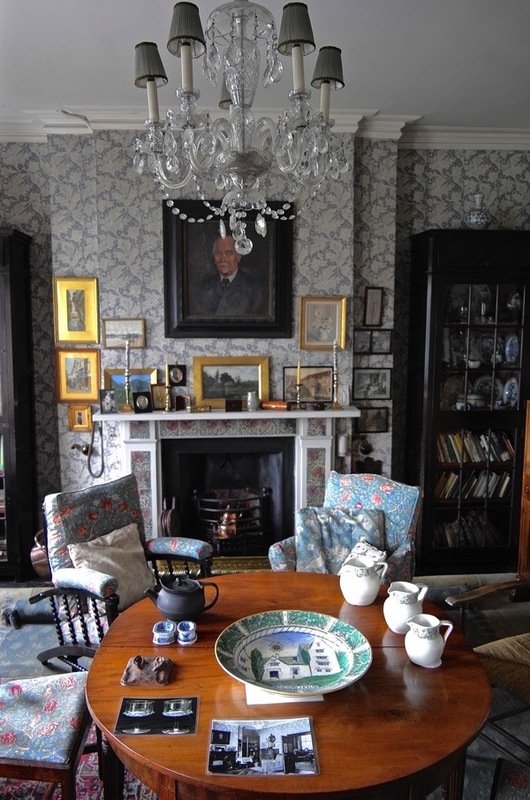 The previous resident of Emery Walker’s house was Thomas Cobden-Sanderson, who is credited with coining the phrase ‘arts and crafts.’ After Morris’ death, he and Emery Walker established the Doves Press in 1900, for which Walker designed the celebrated Doves typeface. Although this highly successful creative partnership set the precedent for the private press movement of the twentieth century and they employed typographer Edward Johnston, who also lived in Hammersmith Terrace, it came to grief due to Cobden-Sanderson’s volatile emotional behaviour. 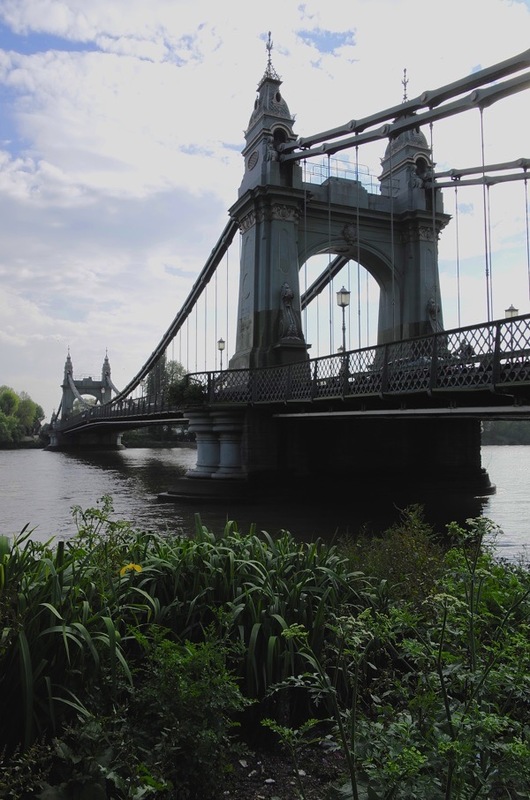 The nadir arrived when Cobden-Sanderson dumped more than a ton of Doves type off Hammersmith Bridge to prevent Emery Walker having any further use of it. Only in own time have specimens been retrieved from the Thames and the font recreated digitally. 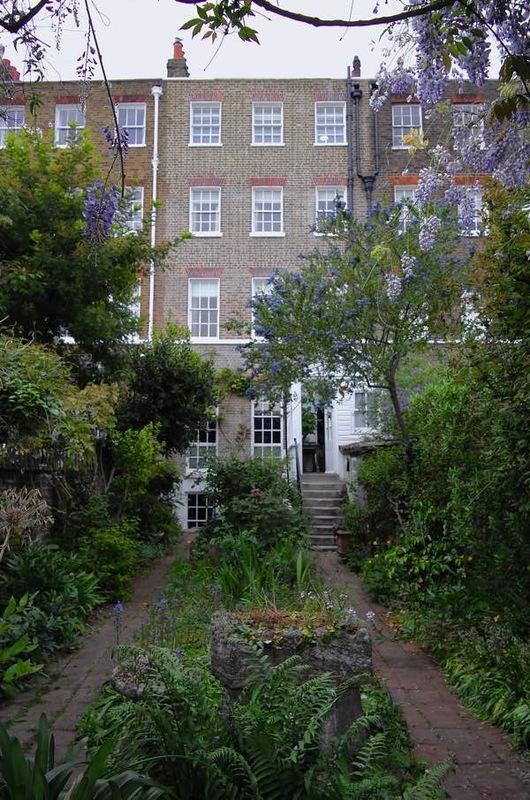 Meanwhile, William Morris’ daughter May and her husband, Henry Halliday Sparling, who was Secretary of the Socialist League moved in next door to Emery Walker – until May’s lover, George Bernard Shaw, moved in with them too and Henry Halliday Sparling moved out. 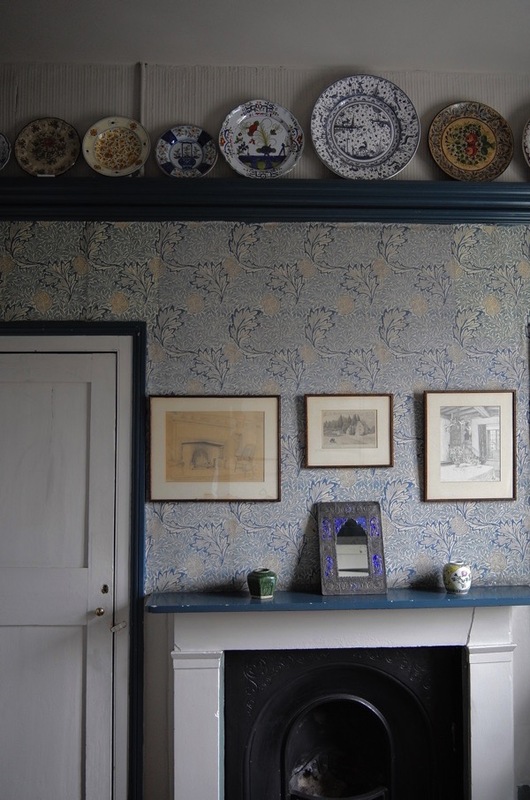 As with many old houses, you wish the walls could speak to you of the former residents and at Emery Walker’s house they do, because they are all papered with designs by William Morris. 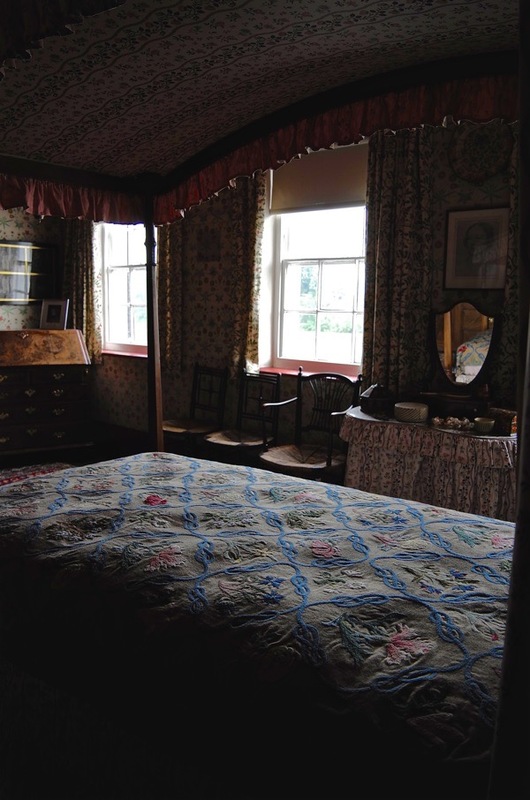 Within these richly patterned walls are rare pieces of furniture by Philip Webb, hangings and carpets by Morris & Co, photographs of William Morris by Emery Walker, a drawing of May Morris by Edward Burne Jones, needlework by May Morris and more. 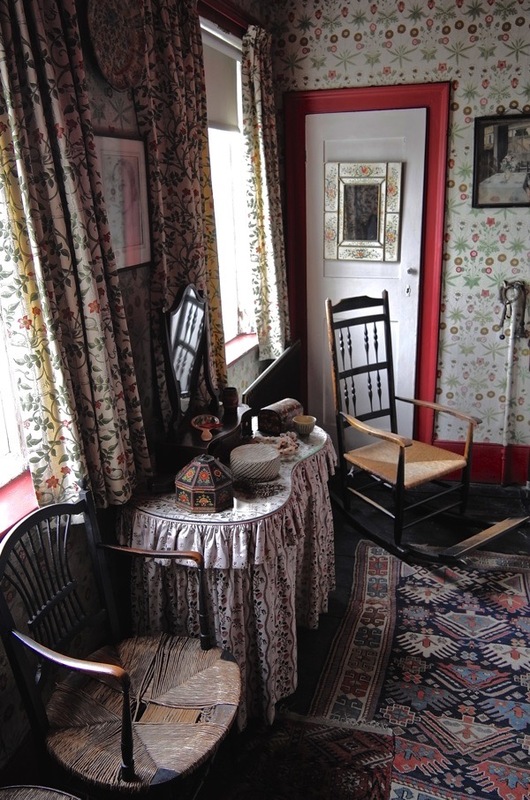 Most of the clutter and paraphernalia gathered by Emery Walker remains, including a lock of William Morris’ hair and several pairs of his spectacles. 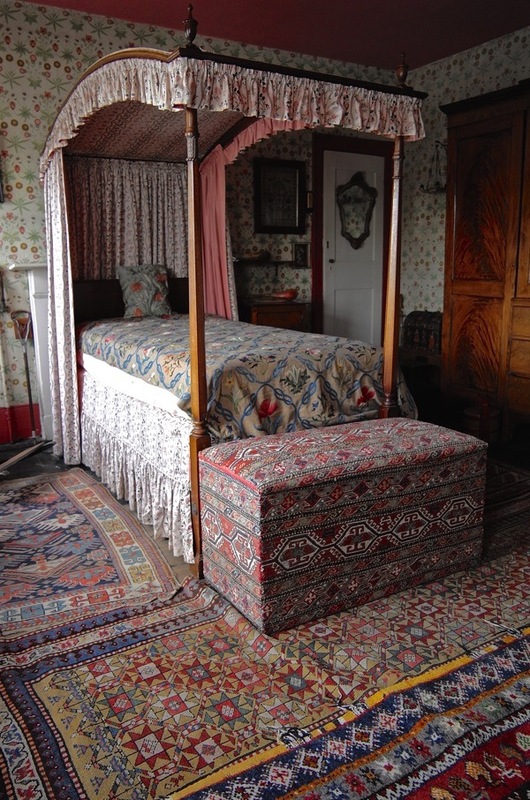 Yet in spite of these treasures, it is the unselfconsciously shabby, lived-in quality of the house which is most appealing, mixing as many as five different William Morris textile and wallpaper designs in one room. 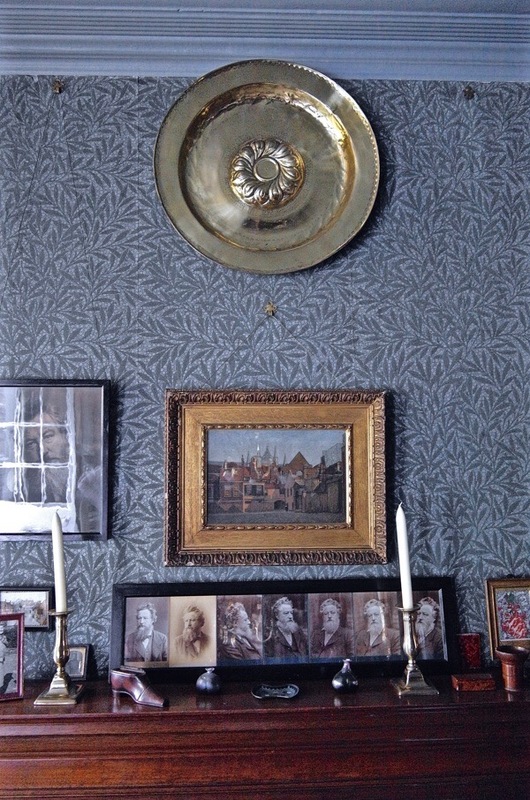 Elsewhere, a Philip Webb linen press has been moved, revealing an earlier Morris wallpaper behind it and a more recent Morris paper applied only on the walls surrounding it. Thus, the ghosts of the long-gone linger in this shadowy old riverside house in Hammersmith. 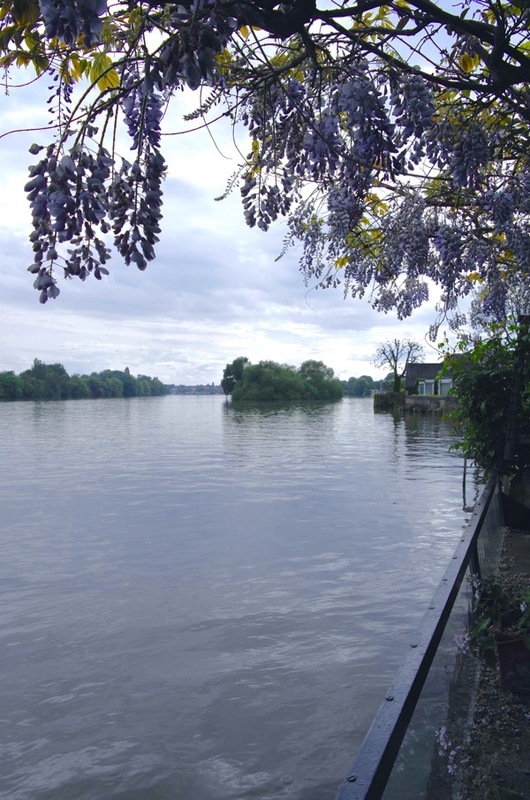 Little Wapping was the informal name of the 19th century riverside neighborhood in Hammersmith south of King Street, & between the banks of Hammersmith Creek to the west & Hammersmith Bridge to the east. From the 1830s onward, it became increasingly industrialized (most notably by a large lead mills) & dense with tenement housing in-filled between factories & workshops. “Little Wapping” was by way of being a pejorative nickname for the resulting slum district. I remember that she once asked me to fix her electric cooker and handed me a screw driver…but she hadn’t unplugged the machine, and I was thrown back across the kitchen. That was a shock! 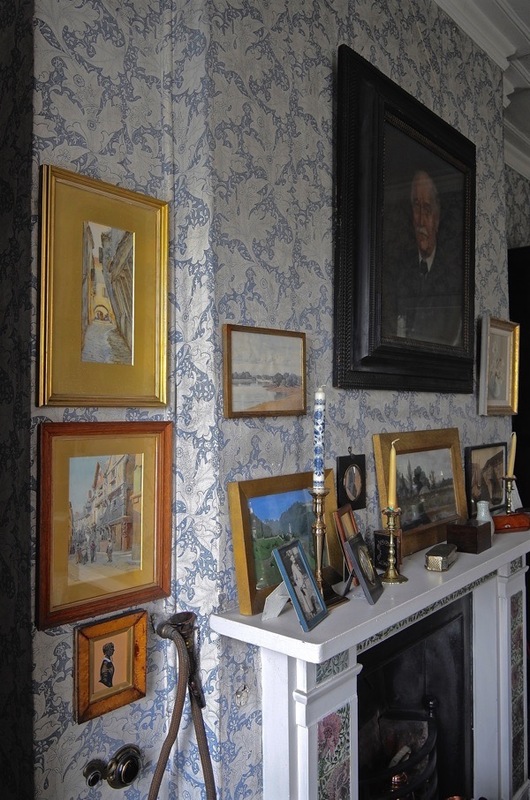 Back then, the house was even more a kind of shrine, and had a more-or-less complete set of Kelmscott Press books. A few hardy souls would visit and ask to see the books…and were allowed to look at them, but only from a distance. Looking, but not touching! The books are now in Cheltenham Museum. There’s an account of the library in old copy of Matrix. I didn’t stay long, but it was quite an experience. Karen, my wife’s, family have also featured recently in SpitalfieldsLife…it’s uncanny! A very interesting insight into this house although I must admit that the décor is all much too ‘busy’ for my taste, but the views out across the river make a welcome break from all those patterns. I have to say that I think I would have agreed with Oscar Wilde ! Oscar Wilde was a smart fellow…that wallpaper is quite a bit “much”. 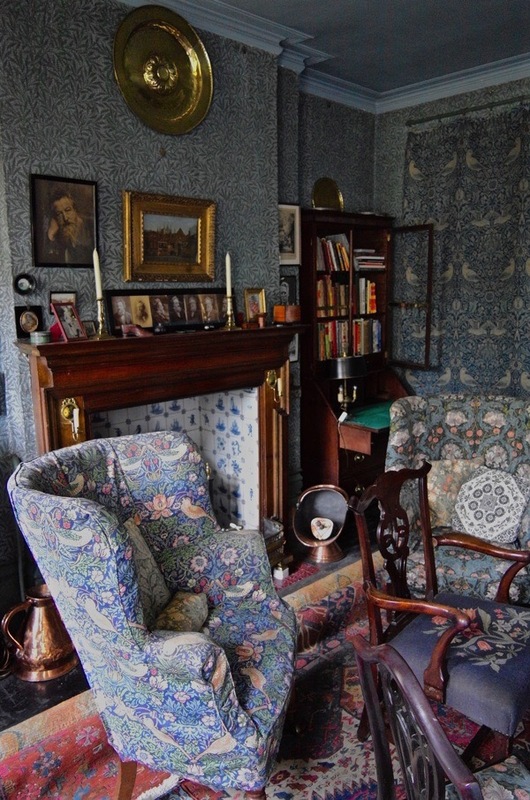 Nice photograph of a chair described as “by Ernest Barnsley” – but it’s not! It’s a well known design modified by the Scottish architect James MacLaren from a traditional design and made by the Herefordshire rural chairmaker, Philip Clissett. 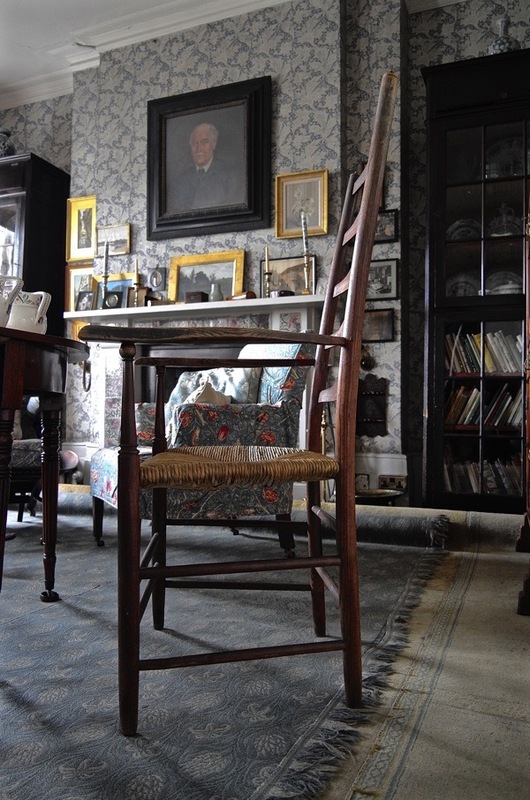 About 80 of his chairs are in the meeting hall of the Art Workers Guild in Queen Square, Bloomsbury, if anyone wants to compare. Ernest Gimson’s chairmaker, Edward Gardiner, produced an almost identical chair which is still made today by Lawrence Neal.